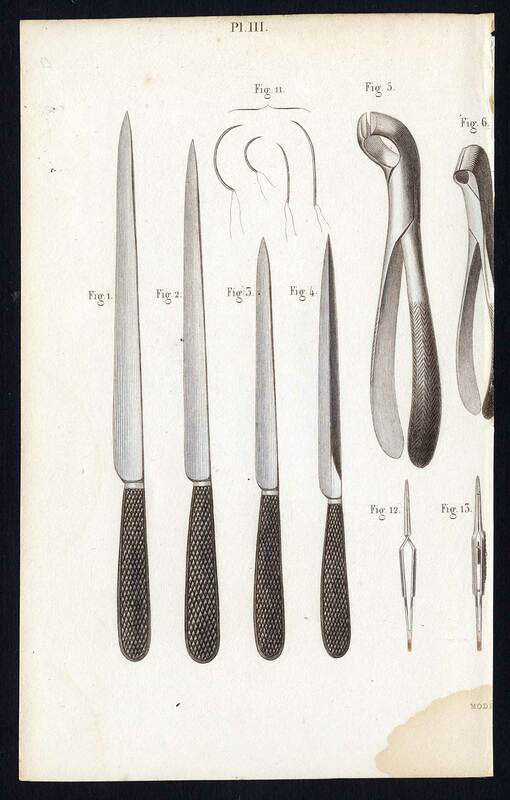 Subject: Plate III - IV: These 2 plates show surgical instruments for amputations; knives, pincers, tweezers, saws etc. Copy of descriptive text available. Condition: Good. General age-related toning. Damp stain bottom left and right, not affecting image. Margin's partially cut short. Please study scan carefully. Size (in cm): The overall size is ca. 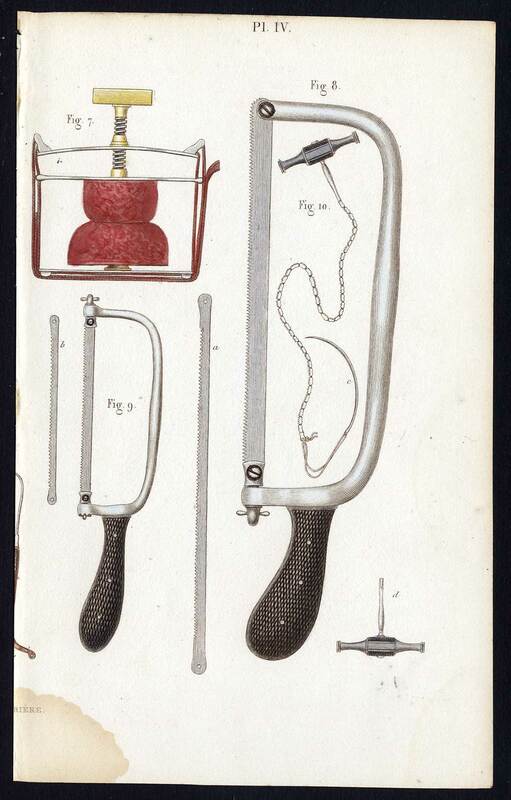 10 x 16.5 cm. The image size is ca. 9 x 14 cm. Size (in inch): The overall size is ca. 3.9 x 6.5 inch. The image size is ca. 3.5 x 5.5 inch.